With this product, you earn 583 BIG TIME point(s). 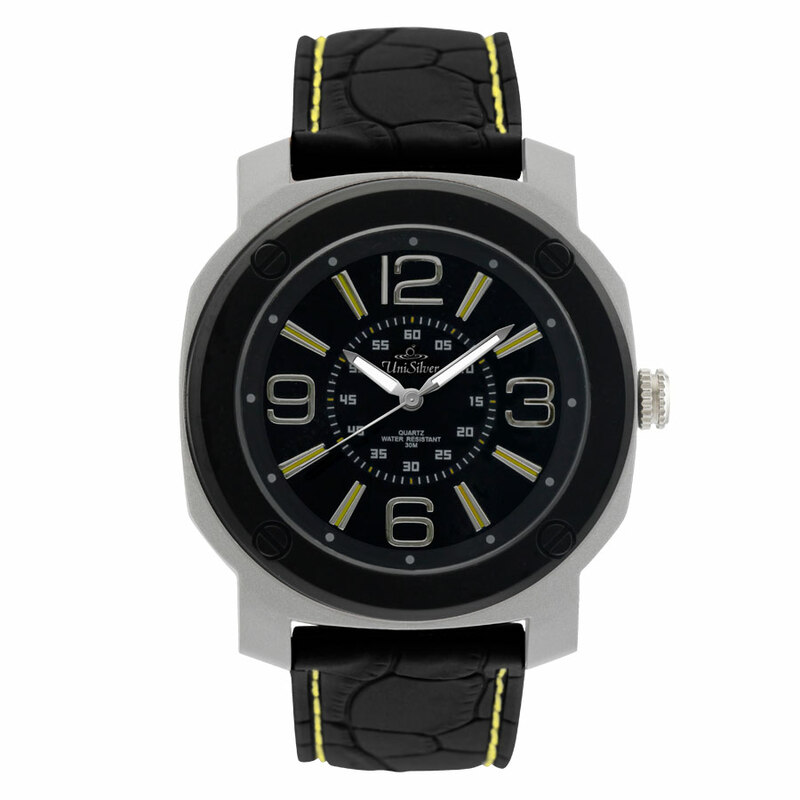 Be on the wild side of style with this ruggedly handsome timepiece. It has a detailed dial inside a uniquely shaped case, and a stitched leather-like rubber strap. Match it with your casual outfits for a top notch get up!